Medical officer (Unani): A degree in Unani Tib of a university established by law in India Or Five years degree or diploma in Unani Tib of the Board of Indian Medicine, U.P. and should be registered as a Hakeem with the Board of Indian Medicine, U.P. and should have 06 months professional experience of State Unani or Allopathic Hospital or Dispensary. Professor Materia Medica : A recognized diploma or a degree in Homoeopathy Or a qualification included in the IIIrd Schedule of Homoeopathy Central Council Act, 1973, and should have Ten years teaching experience including three years teaching experience in the concerned subject as Reader/ Associate Professor in a recognized Homoeopathic Medical College. 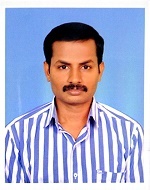 Professor (Shalya Tantra) : 05 years Degree in Ayurveda from a University or equivalent and should have Ten years’ teaching experience of the subject (08 after post-graduate) including three years as Reader in a recognized institution, candidate should have working knowledge of Hindi, English and Sanskrit. Reader Surgery : A recognized diploma or a degree in Homoeopathy Or a qualification included in the IIIrd Schedule of Homoeopathy Central Council Act, 1973 and 04 years teaching experience as Lecturer or Seven years teaching experience in a recognized Allopathic or Homoeopathic Medical College. Last Date of Application: 07-12-2016. Selection Process: Candidates will be selected as per the UPPSC Norms. Application fee: Rs. 125 (Rs. 65 for reserve category candidates and Rs.25 for PWD candidates). How to Apply: Eligible candidates can apply online through the official web portal (uppsc.up.nic.in) in the prescribed format and submit the application after fee submission on or before 07-12-2016. Candidates after submitting their applications through online shall send photocopies of their all academic/required documents regarding their claims along with print-out of online application form within 21 days from the last date of submitting the applications within 03-01-2017 till 5 pm on the working day through registered/speed post or personally in the office of the commission.